Product prices and availability are accurate as of 2019-04-25 11:48:10 UTC and are subject to change. Any price and availability information displayed on http://www.amazon.com/ at the time of purchase will apply to the purchase of this product. 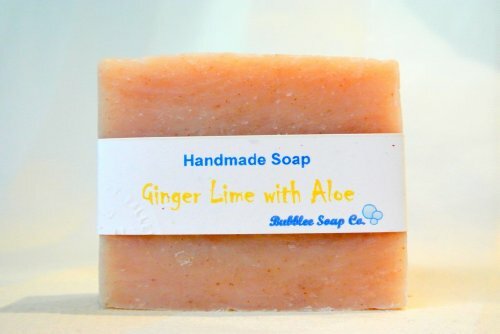 We are now offering the popular All Natural / Organic Handmade Soap Gift Set - Aloe Calendula, Orange Hibiscus w/ Aloe, Ginger Lime w/ Aloe for a brilliant price. Don't lose out - buy the All Natural / Organic Handmade Soap Gift Set - Aloe Calendula, Orange Hibiscus w/ Aloe, Ginger Lime w/ Aloe here today! A fantastic present for any event for Mom, Dad, teachers or pals !! 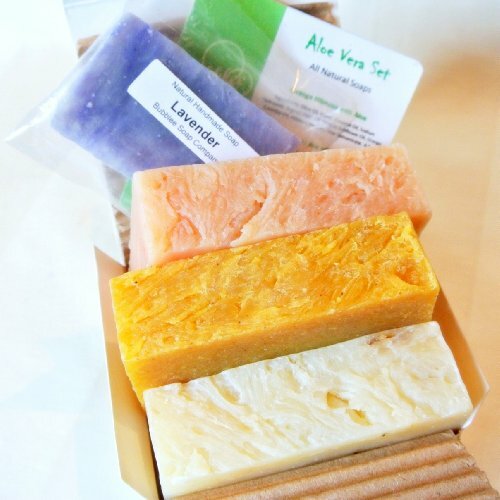 Packaged in a beautiful embossed present box, these old-fashioned handcrafted natural soaps are produced in small batches utilizing high quality natural/organic oils, butters, herbs and important oils. Each Soap is distinctively created and smells remarkable! Our aloe soaps are loaded with olive oil and natural aloe for an additional skin softening result. Great hydrating soaps for the face & body. 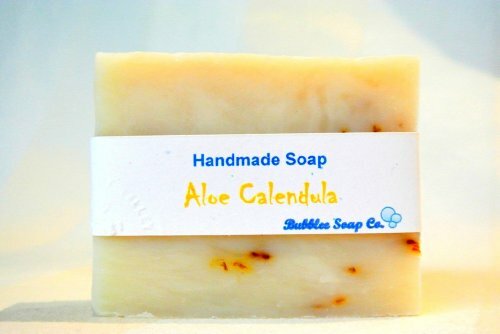 * Aloe Calendula Soap (100% Natural): Olive Oil, Water, Coconut Oil, Sodium Hydroxide, Organic Palm Oil, Organic Sunflower Oil, Shea Butter, Organic Aloe Concentrate, Calendula Flowers. 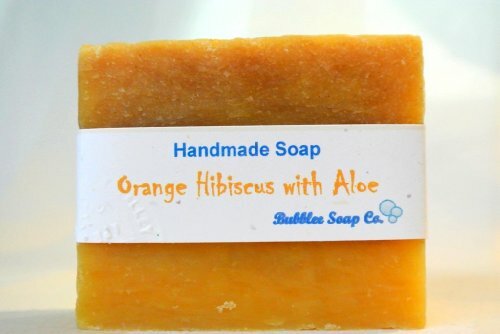 * Orange Hibiscus w/ Aloe Soap (100% Natural): Olive Oil, Water, Coconut Oil, Sodium Hydroxide, Organic Palm Oil, Organic Sunflower Oil, Orange Essential Oil, Hibiscus Powder, Organic Aloe Concentrate. Note: All bars are in between 4 - 5 ounces. Size varies due to the handcrafted nature of each bar. Gift box & sample guest soap varies based upon schedule. 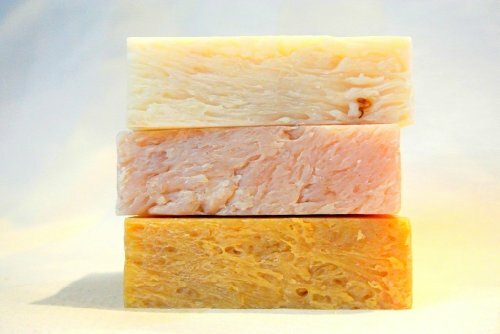 Three luxury all natural soaps (each approx. 4.5 oz and measuring approx. 3.25" x 1" x 1.5") + guest soap. Made in the USA. No harmful chemicals. Eco-Friendly. No GMO, parabens, sodium lauryl sulfate. Handcrafted with finest all natural/organic vegetable based ingredients. Beautiful embossed gift box & ready to give or just pamper yourself. Great moisturizing soaps. Loaded with olive oil & aloe for extra skin softening effect. Great gift for Birthday, Mother's Day, Father's Day, Valentine's Day, Holiday, House Warming Party, Moving Party, Girls Party, Back to School, Etc.